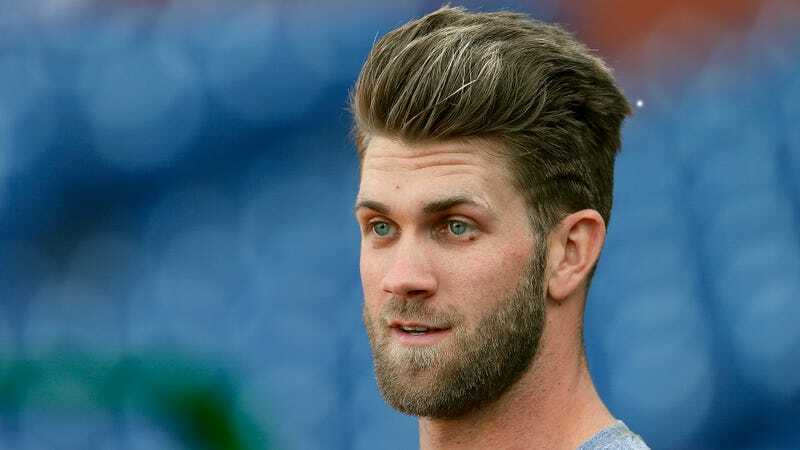 PHILADELPHIA—Sending a strong signal that the move could swing his decision on where to sign, free agent outfielder Bryce Harper asked Friday whether the Philadelphia Phillies would be willing to relocate to another city. “I’m a big fan of coach [Gabe] Kapler and the roster he’s assembled, but I’d love to see the Phillies make a big move to another city before I commit to playing for them,” said the 2015 National League MVP, adding that he’d even be willing to sign at a lower salary if it would help the team relocate to someplace warm like San Jose or Orlando. “I’m really trying to put myself in the best position and it feels like the Phillies have all the pieces in place, except for the city. Playing with Jake [Arrieta] and Andrew [McCutchen] would be great, but in the end I would still be stuck in Philadelphia. But if they’re able to guarantee they’ll build a new stadium and move the franchise to Omaha, I’ll sign tomorrow.” Harper added that he might be willing to play in Philly if the city traded away the majority of its citizens.